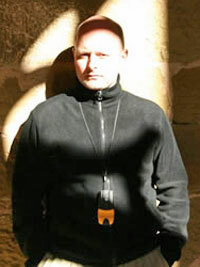 Patrick Garrett was born in London and grew up in Scotland, where he began his working life as a television editor in Glasgow, before moving to Hamburg and then to Moscow to work in television news for broadcasters including BBC, ITN, NBC, and CBS. He relocated to Hong Kong in 1997 and began to research a memoir about his great aunt, veteran journalist Clare Hollingworth, renowned for being the first journalist to break the news of the outbreak of the Second World War, who had been resident in the city for decades. These days Patrick works in the International Affairs team for a major international airline, and divides his time between Hong Kong and Moscow. Patrick, please can you briefly tell us about your career and international travels to date? I think I picked up the traveling bug from Clare – I went on my first solo trip aged 12 – to visit a friend in America. (He’s my oldest buddy and we’ve been on a lot of adventures together in the decades since). I went on the usual Interrail travels around Europe in my teenage years. Going to East Germany aged 17 gave me an interest in events behind the iron curtain, and I learned German in order to shoot a documentary there. I was fortunate beginning the project in 1989 – the year that the Berlin Wall fell. I was in the midst of all that – and in fact got to know two of the most senior East German leaders – both of whom were in fact jailed not long after reunificaiton. I lived in Germany for a while – but by that time the Soviet Union was looking shakey, and so I took a job in Moscow. The Yeltsin years were turbulent for news – and I had some eye-opening travel around Russia and the former Soviet republics for televison news. I was on the ground for the conflicts in the Caucasus in the mid-1990s. I moved out to Hong Kong in 1997 to cover the handover – and ended up staying. Clare had been based there for some 16 years when I pitched up, and certainly she was part of the reason I went east. Hong Kong is also a great base – I was able to travel into China, and all over South East Asia. Being in Hong Kong gave me a great opportunity to really get to know my great aunt. I’d always been a fan of hers – we had quite similar interests – but for most of my childhood she was abroad. Now though, we were in the same city. And that gave me the perfect chance to start researching her biography which – twenty years later – has emerged as Of Fortunes and War. We were deeply saddened when we heard your great aunt passed away recently. What sort of person was she? She was fun to be with – and had a great sense of humour too. Some people assumed Clare was always serious – and only interested in geopolitics. Not true: she wasn’t averse to a bit of scurrilous gossip too, over a beer. What made you want to write about her? 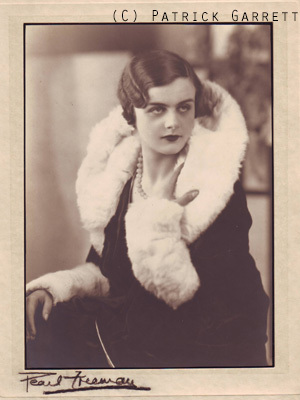 Clare had an autobiography published in 1990 and I was eager to find out more about my aunt when it emerged – but I was disappointed that it revealed very little. Clare didn’t see the need to put much of herself into the book – she was interested only in the events around her. That is fine in a news story, but it didn’t answer the questions I had. So, I started researching. What really triggered the book was finding a battered old suitcase in the attic at home that had belonged to Clare. 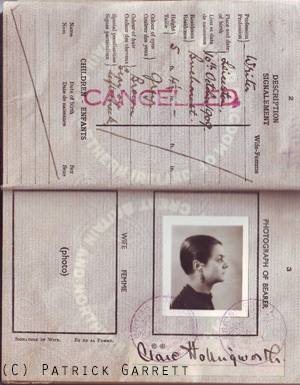 Inside were all manner of documents and papers that opened up a complete new side to Clare – in particular how she had saved the lives of some 3000 refugees – Jews, Communists, writers, trade unionists – from the Nazis on the very eve of WWII. Too often stories about Clare define her for her WWII achievements – but that is just a fraction of what she did, and I felt the bigger story needed to be told. How did you go about researching her story? Many journalism biographies are just rehashed press clippings but I was determined that this was not the way to tell Clare’s story – particularly because she actually put so little of herself into her stories. (Unlike the trend on TV news, especially today.) I found documents in archives all around the world – and went back to primary sources. I also interviewed the people who knew her best. Her great age was a challenge here – as even the office juniors in Clare’s day were often now in their eighties. But fortunately, Clare liked to socialise with people of all ages – so there was no shortage of sources. What were the most memorable parts of her story for you? 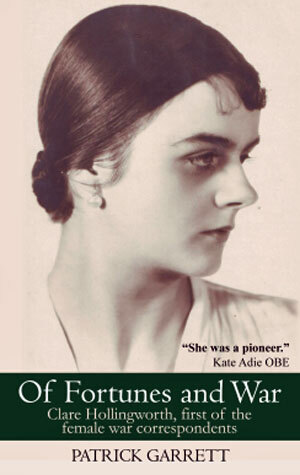 Going back to Poland and following her footsteps from the start of WWII was fascinating. 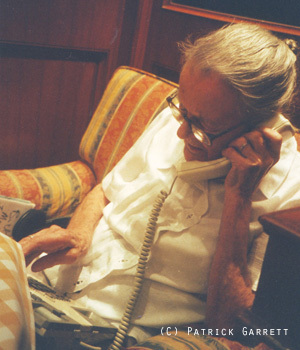 I stayed in the vintage hotel where Clare spent the first night of the war, and I found the office she worked in helping refugees just before the war started. I was amazed how little had changed. I had old black and white photographs to go on – and saw that the same chemist shop from 70 plus years before was still working. Did you learn anything unexpected about her? I certainly didn’t know about her refugee work before. She made a passing reference to it in her autobiography – but it didn’t even register. It was nothing she ever talked about – but her contribution on the front line in Poland saved thousands of lives. It has been wonderful to be in contact with families who simply would not be here were it not for Clare back in 1939. What is Clare’s legacy for women in journalism? It’s a very important one indeed. I clarify in the book that Clare was not the VERY first female war correspondent – at least one woman correspondent preceded her in the Boer War, and who knows who was conveying the news in antiquity before modern media. But Clare was the first to make combat reporting her entire life. 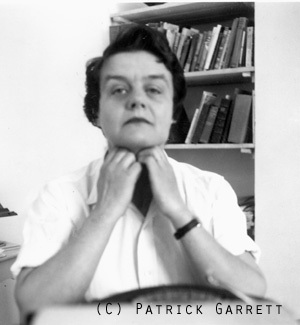 She never really stopped – and even in her late eighties and possibly beyond she was filing – sometimes under a pseudonym – for expert defence journals. When Clare started out women were not even able to vote in the UK. She faced some opposition from the military to give her the front-line access she wanted – but she kept pushing, and by the end was absolutely accepted. 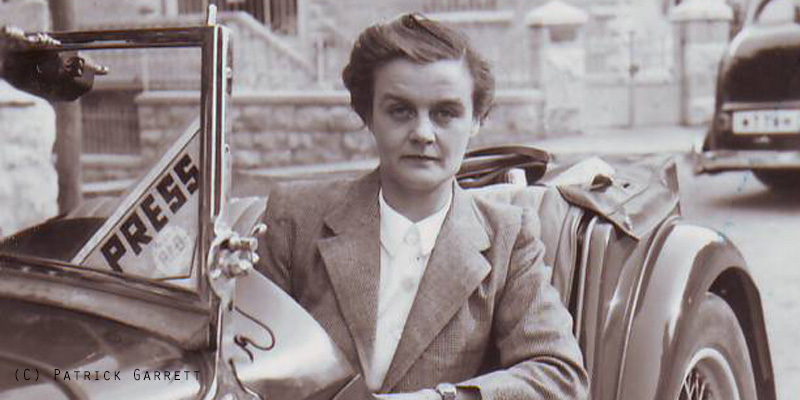 As one of her male colleagues wrote about her travels in the 1960s, “no battlefield was complete without Clare Hollingworth”. This YouTube video made to celebrate her 104th birthday in 2015 and gives a sense of the high esteem in which she was held within the profession and beyond. It also features Clare herself talking about her passion for journalism. I’m just completing a book about a Soviet aircraft designer. That may sound like a very narrow interest story – but in fact the whole historical sweep of the Soviet Union is in there, and in addition to the technical interest, it is an incredible human story too.